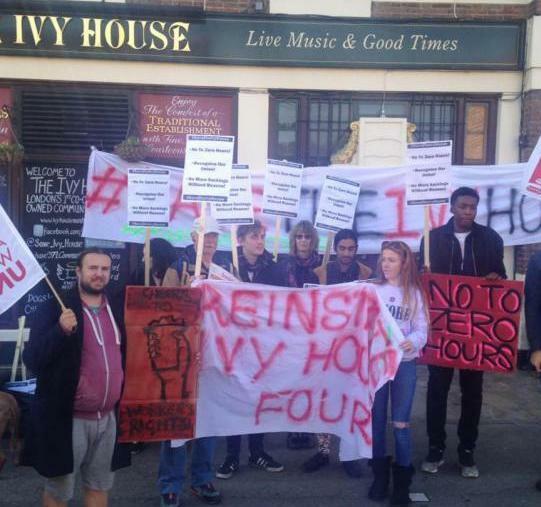 Following a one-day strike at Lewisham and Southwark College on 4 June, union members report a different atmosphere in the college. The dispute has now broken out of the world of committee meetings and into the classrooms and corridors, canteens and staff rooms. Everybody now has to have a position on the strike, everybody has to think about taking a side. For many staff and students, this is a further political education and a first direct experience of trade union struggle. Two hundred GMB members employed by ISS at Queen Elizabeth Hospital in Woolwich, South London have voted for strikes to end two-tier conditions in NHS. The dispute is for the same pay rates, weekend enhancements and unsocial hours rates as the staff directly employed by the Trust. The GMB members are employed as cleaners, security, ward hostesses, caterers, on the switchboard and as porters. On 23 September GMB organised a protest outside the bondholders meeting of the PFI operator for the hospital. Plumbers and heating and ventilation engineers in the Unite union have overwhelmingly rejected a below-inflation pay offer, with their union threatening to move to an industrial action ballot unless the offer is improved. The Building and Engineering Services Association (BESA) is offering a two-year deal with a freeze in the first year and a 1.5 percent increase in the second year, despite what Unite calls their “healthy profit margins and order books”. Workers rejected the deal by a margin of nine to one.